Sunpower Group reported late on Saturday that its third-quarter net profit dropped 81.1 percent on-year to 32.32 million yuan on lower fair value gains and unrealized foreign-exchange translation on its convertible bonds. The fair value gain on the convertible bonds was 12.53 million yuan in the quarter ended 30 September, down 92.1 percent from a 158.50 million yuan gain in the year-ago quarter, Sunpower said in a filing to SGX. In addition, the company posted a foreign exchange loss of 13.14 million yuan in the quarter, compared with a 4.41 million yuan loss in the year-ago period. Excluding the effect of the convertible bond, net profit for the quarter would have surged 276.7 percent on-year to 56.78 million yuan, said the company, which focuses on proprietary energy-saving and clean-power technology and is expanding into anti-pollution investment projects. In addition, without the impact of the convertible bonds, it would have posted a foreign-exchange gain of 2.45 million yuan in the quarter, compared with a loss of 11.34 million yuan in the year-ago quarter, Sunpower said. 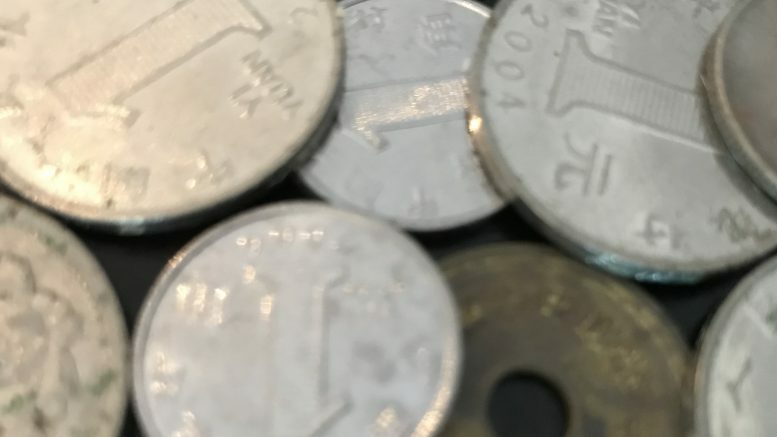 Including the effects of the convertible bonds, finance costs jumped 172.5 percent on-year in the quarter to 40.32 million yuan, while excluding the effects, finance costs were 18.91 million yuan, up 263.5 percent from 5.20 million yuan in the year-ago quarter. In March 2017, Sunpower issued US$110 million in convertible bonds, which mature in March 2022 and which can be converted into ordinary shares potentially representing 28.2 percent to 51.4 percent of share capital on a diluted basis, to Glory Sky Vision, which is indirectly owned by private equity player CDH Fund V, it said. In January of this year, Glory Sky transferred US$60 million of the convertible bonds to private equity players DCP Capital Partners and DCP Group, it said. Sunpower in September obtained shareholder approval to issue a second tranche of US$70 million of convertible bonds and US$30 million of warrants to DCP and CDH to fund the green investments-related business, it said. The net proceeds of the bonds are earmarked for the expansion of the green investments business, particularly in centralized steam and electricity projects and other environmental-protection-related projects, it said. Revenue, which wasn’t affected by the convertible bond, rose 87.5 percent on-year in the quarter to 763.72 million yuan, Sunpower said. That was due to the manufacturing and services segment revenue rising 36.6 percent on-year to 556.3 million yuan in the quarter, as well as seven green investment projects contributing 207.4 million yuan in revenue up from zero in the year-ago quarter, it said. Cost of sales climbed 88.3 percent on-year to 601.10 million yuan in the quarter, while administrative expenses increased 65.2 percent on-year to 79.23 million yuan, mainly on higher personnel expenses of 16.3 million yuan and on other office expenses from the green investments (GI) segment’s expansion, Sunpower said. Underlying net profit, which doesn’t include the impact of the convertible bonds, rose 105.6 percent on-year to 56.8 million yuan, Sunpower said. The company was positive on the outlook. It pointed to China State Coucil’s new 2018-2020 three-year Action Plan for Winning the Blue Sky War, issued in July, which added more cities, saying the top-level official backing would drive long-term growth in China’s environmental-protection industry. “Sunpower remains on the right track to execute its GI strategy with the goal of building up a sizeable and valuable GI portfolio which generates long-term, recurring and high-quality cash flows as its value creator and growth driver,” Sunpower said. “Sunpower’s GI projects enjoy an attractive double-digit internal rate of return (IRR), supported by concessions of typically 30 years and strong tariff collection due to the ability to require prepayments by customers,” it said. So far, it has invested and committed a total 1.3 billion yuan in equity investment in existing GI projects and is set to invest a total 2.5 billion yuan by 2021, Sunpower said. For the fourth quarter, Sunpower said it expected its operating performance would benefit from the continued ramp-up of GI projects, including the Quanjiao and Lianshui projects, full-quarter electricity revenue from the Changrun project and additional revenue from providing winter heating by the Xinyuan Plant. It said it also expected full-quarter contributions form the Yongxing Plant, which was acquired in the third quarter, while the manufacturing and services segment is expected to benefit from the 2.2 billion yuan orderbook and usually higher deliveries of work-in-progress products during the fourth quarter.